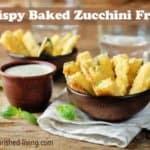 WeightWatchers.com is one of my favorite resources for easy healthy recipes, like this one for Crispy Baked Zucchini Fries. I stumbled upon it as I was assembling a collection of Healthy Zucchini Recipes and vowed to test it out the next time a craving for french fries or fried zucchini struck. With more than 800 reviews and a 4+ star rating, it’s definitely a Weight Watchers Favorite. I made a couple of modifications to the recipe so it would work with what I had on hand. I substituted Italian-style bread crumbs for Panko. Add I added a heaping tablespoon of grated Parmesan to the breadcrumbs just because it seemed like a good idea. Super-crispy and just as satisfying as fried, these baked zucchini fries turned out even better than I hoped. They’re definitely something I’d make again. And again. This seems like a winning way to turn vegetable haters into lovers. Serve them as an appetizer, snack, or side dish, with a little marinara sauce or low-fat ranch dressing for dipping. You could use the same ingredients and technique with summer squash, eggplant, mushrooms or thick cut onion rings too. And because this is a Weight Watchers approved recipe, I didn’t have to go to the hassle of calculating the nutritional estimates. According the their website, each serving has *3 WW PointsPlus, *3 WW Freestyle SmartPoints. 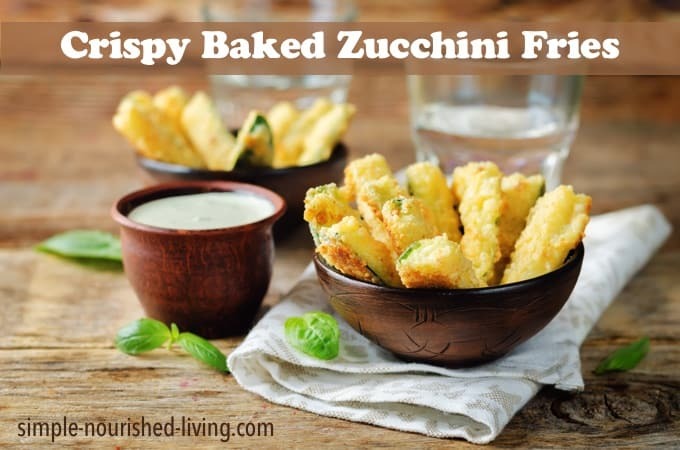 If you’ve made these zucchini fries, please give the recipe a star rating below and leave a comment letting me know how you liked it. 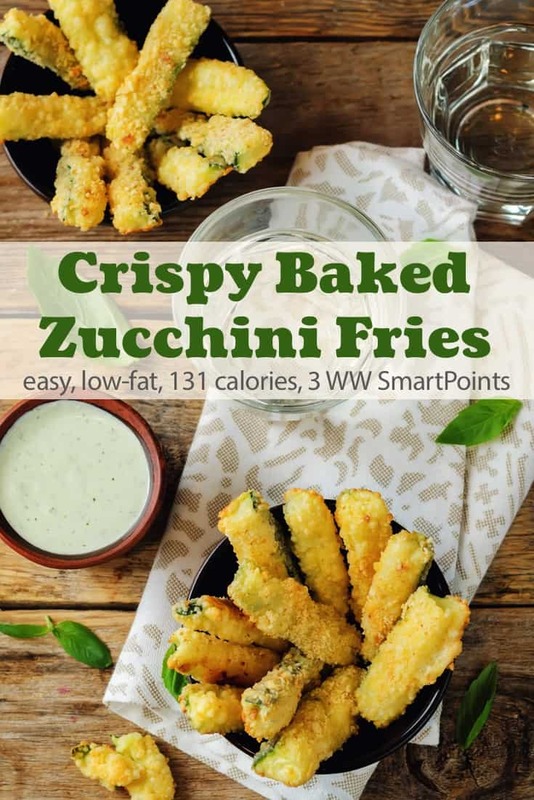 A Weight Watchers favorite recipe, with lots of reviews and 4+ star rating, these crispy baked zucchini fries are an all-around winner! Preheat oven to 425F degrees. Coat a baking sheet with cooking spray. In a flat dish, mix together the Italian seasoning, flour and salt. Place bread crumbs in another flat dish. Coat each piece of zucchini in flour mixture and then dip it into the egg whites and then coat with bread crumbs. Place coated zucchini on the prepared baking sheet. Repeat with remaining zucchini. Liberally coat zucchini fries with cooking spray. Place in the oven and roast for 8 to 10 minutes, then flip and continue to cook until they're as crispy as you want, 8 to 10 minutes more. For extra crispy baked zucchini fries, increase the oven temperature to 500F and decrease the cooking time by about 2 minutes.